A fine place to stay at when one is looking for comfort and relaxation. 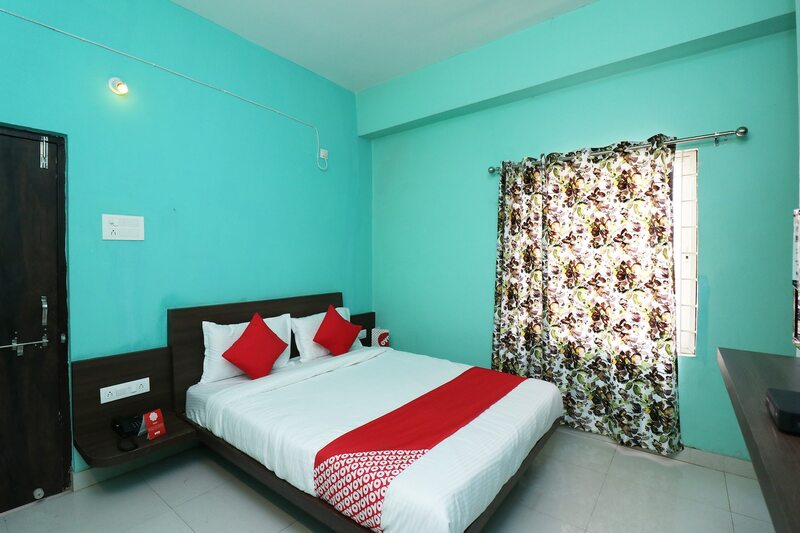 Jalsa Guest House is a simple and sober hotel that attracts people with its warm and inviting ambience. The bedrooms at the hotel have a theme of light pastel coloured walls and dark word furnishings, keeping the ambience of the room cheerful. In addition to the basic furniture, the large windows keep the ambience in the room bright and lively. A seating area is available for the guests to use. The hotel also provides the guests with a mini fridge and a hair dryer in each room. Other amenities offered by the hotel are free Wi-Fi and power backup.